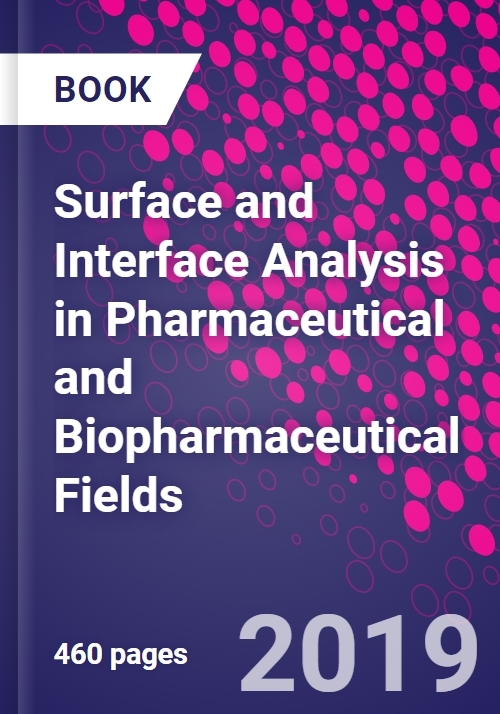 Surface and Interface Analysis in Pharmaceutical and Biopharmaceutical Fields provides a comprehensive review of the most commonly used interface science techniques in drug research and development (including their capabilities and limitations) and relates them to a specific, practical situation. This book outlines sample preparation crucial for a successful outcome and features methods to interpret results that can be combined with other techniques. It provides engineers who work in instrument companies a comprehensive understanding of the specific challenges faced by these techniques in pharmaceutical/biopharmaceutical applications, presenting a framework for new instruments that can be designed to address current challenges. Xia Dong is a Principal Research Scientist at Eli Lilly and Company and serves as the leader of surface and polymer science group. Xia obtained a B.S. degree in Analytical Chemistry from University of Science and Technology in China (USTC), and a Ph.D. in Analytical Chemistry from University of Pittsburgh. She served as a surface scientist in Evans East from 1998, before joining Lilly in 2003. At Lilly, she leads materials characterization efforts to develop applications of surface analysis, polymer characterization, and imaging techniques in the product development area. Her research focuses on the integration of multiple techniques including TOF-SIMS, XPS, ellipsometry, AFM, NIR and micro-CT to enhance the understanding of properties of drug substances, excipients, packaging materials, and their interactions. Her group also provides analytical support to investigations of manufacturing deviations, complaint samples, counterfeit samples, and patent infringement. Xia has key interest in expanding the application of surface and interface characterization in pharmaceutical industry. She proposed and co-organized the symposium "Surface & Interface Sciences in Biological & Pharmaceutical Fields at 246th ACS National Meeting, and was elected as member at large of Applied Surface Science Division at the American Vacuum Society.